These super moist Flourless Chocolate Gingerbread Bars are a wholesome, vegan + gluten-free treat that’ll satisfy your sweet tooth in no time! Has the gingerbread season come and gone? Like when exactly does the gingerbread season officially end? I pray it wasn’t December 25th. Did I miss the cut-off?! Worry not. I herby declare 2016 the year of bread. Yeasty bread. Garlic bread. Monkey bread. GINGABREAD. Let’s bring carbs back in style. Remember when they were cool? Remember in 1993 when it was cool to eat bread? When gluten wasn’t synonymous with satan? Those were the glory days. I’ve been fighting a virus all weekend. Having no appetite is the bain of my existance. I live to eat. Not eating makes me want to die. Now that I’m finally hungry again, I wanted some Paleo Pumpkin Bars like YESTERDAY but my obsession with all things chocolate and ginger lit a lightbulb in this bustling, bamboozling brain of mine. I saw no reason in the world to not add heaps of cacao and ginger to the mix. Back to the virus. It’s leaving me less than verbose. So I leave you with this pan of dreams that serves twelve, but realistically more like four. MUHAHA. Serve these babies with some crusty bread and call it a meal. Insert heart eye emoji here. Preheat oven to 350F. Spray an 8x8in square baking dish with cooking spray. Place almond butter, pumpkin, applesauce, mollasses, maple syrup, and vanilla in a medium bowl. Stir until well-combined. Add the rest of the ingredients, stirring until smooth. Pour into prepared baking dish, smoothing with a spatula. Bake for 30 minutes or until a knife inserted into the center comes out clean. I have no idea when the gingerbread cut off is, but these sound fantastic. Feel better soon–I feel a cold coming on as well thanks to the weather being all over the place! I have been saving a can of pumpkin from November to make your Paleo Pumpkin bars, adding these to the list as well! You are probably right in that I will eat approximately 3/4 of the pan within two days. I’m not much for regarding food seasons. I’m the person who will eat chili in the middle of a Dallas summer. Gingerbread season definitely lasts far beyond December in my household, and even if it didn’t, seeing these mouth-watering bars would have changed my mind! 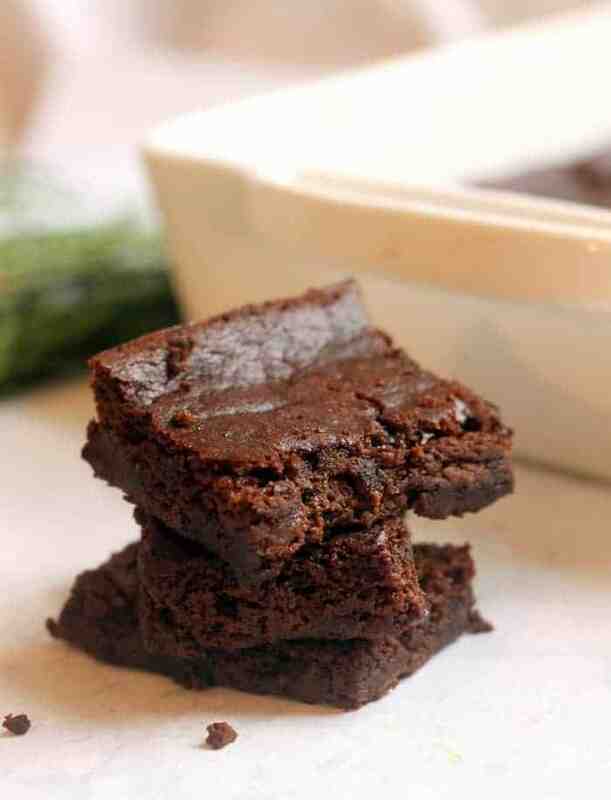 These look impossibly chewy and oh-so-flavorful! It’s never a bad time for gingerbread! I hate how certain foods are only supposed to be eaten at certain times!! Pumpkin and gingerbread all year long! Gingerbread season, pumpkin season, chocolate peppermint season…they aren’t seasons, they are LIFE! These are in the oven as we speak, and oh my, they smell divine. I didn’t have pumpkin, so I used sweet potato. We are having a snowstorm, so the wafting smell of gingerbread is just perfect! Hurrah for a gingerbread-pumpkin recipe – and what a phenomenal one it is! I’m not sure when the cut off ir – but hey – keep ’em coming is what I have to say! Hope you start feeling better soon! Hurrah for a gingerbread-pumpkin recipe – and what a phenomenal one it is! I’m not sure when the cut off ir – but hey – keep ’em coming is what I have to say! Hope you start feeling better soon!! NEVER!!! Gingerbread season ends never – I’m officially declaring that the truth. These are amazeballs and I want to shove 34932 in my face now. There is no such thing as a gingerbread cutoff. I need these in my face yesterday! Holy freakin deliciousness. Looks yummy!! !What can be used in place of flaxseed and molasses? Delicious. Used only 1 tsp of ginger because I was scared but I think I’d go for it next time. Used sweet potato instead of pumpkin and banana for apple sauce. Will make again. These were amazing! 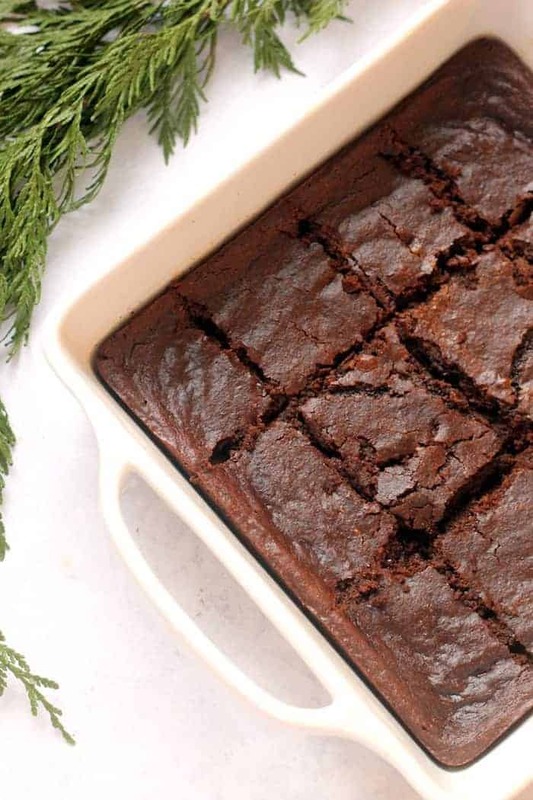 I haven’t had brownies in a long time, and I love gingerbread, so I’m glad I found this recipe tonight! I did make a few substitutions: switched the measurements for the almond butter and applesauce, subbed 1/4 tsp monkfruit extract for the maple syrup, and used chopped unsweetened baking chocolate instead of the choc. chips. I’ll definitely be making these again. Thanks! These are the perfect healthy bars because they satisfy chocolate and pastry cravings, but are also healthy enough that I feel good after I eat them! 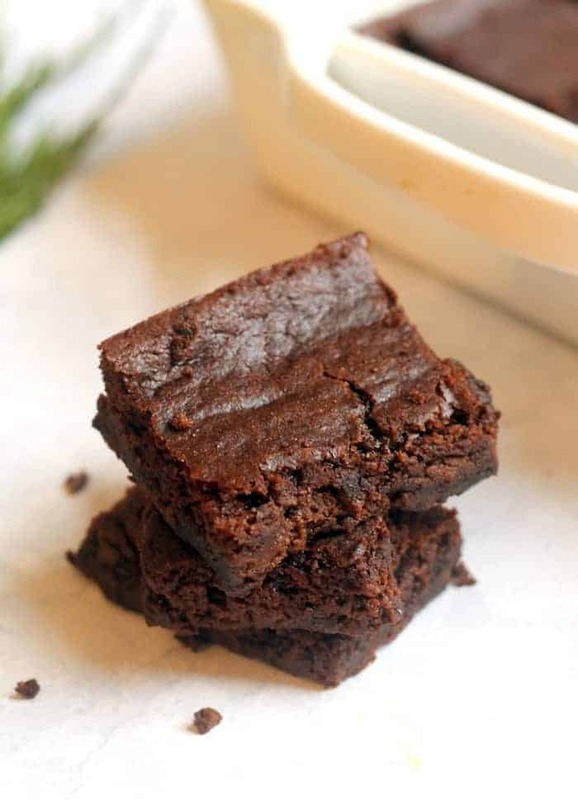 Not to mention, they’re packed with protein, so I feel like I’m doing my body a service eating this instead of feeling like they’re a cheat snack :) I love this recipe so much, thank you for creating and sharing it with us! I found your website yesterday and tried the Coconut Lime Salmon and the Chocolate Gingerbread Protein Smoothie. Oh, it was yummy and my husband even enjoyed the salmon ;-) I wanted to try the Paleo Chocolate Gingerbread Bars, but I ‘m having trouble locating pumpkin puree this time of year. Whole Foods, Trader Joe’s and my usual grocery store do not have it in stock. Is there a substitute that I can use instead of pumpkin puree?? P.S. I love your website and I’m enjoying all your food blogs especially your trip to Italy. Awwww such oldies but goodies! I’m so glad you found me. Regarding the pumpkin puree, if you can find butternut squash puree, that should work. Banana or applesauce may work but I’ve never tried them :/ I’m sorry! These were outstanding! Ooey, gooey, chocolatey. I used 2 apple/sweet potato baby food pouches, perfect. I will definitely make this again. Thanks so much. These bars are so delicious! 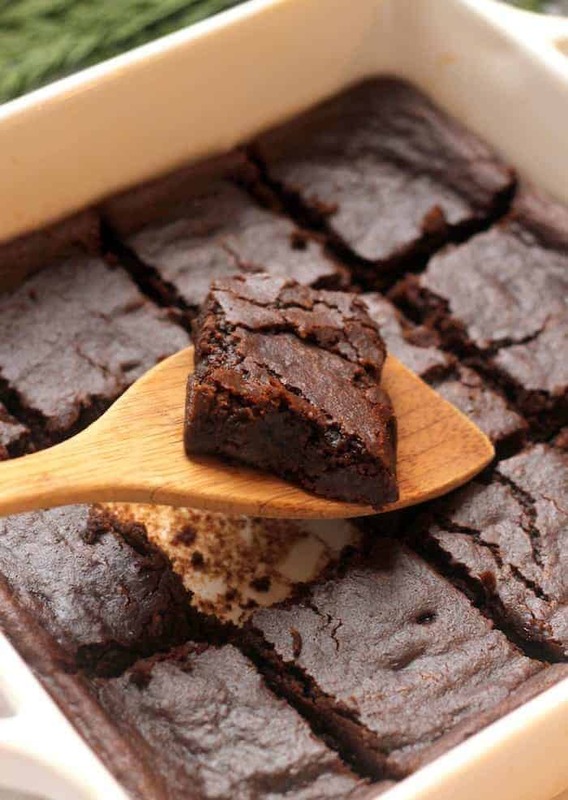 I love the dense texture and the combination of the chocolate and spices are on point. I’m so glad you liked them, Rachel!